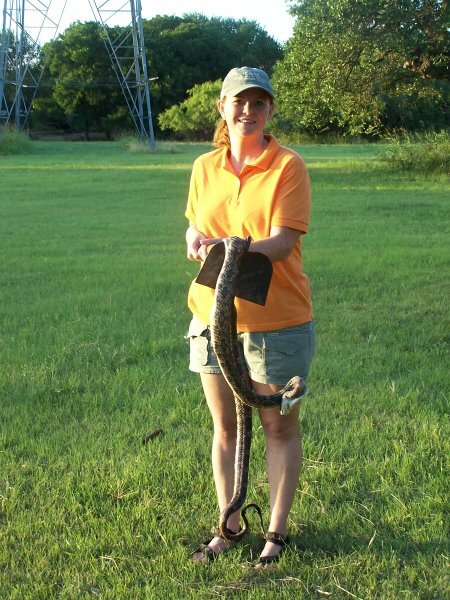 Cheryl Harris (Jay's) shot a big chicken snake at their place near Schertz several weeks ago, I think. She crawled in the chicken house & shot it in the head and another time to break its back so wouldn"t crawl off in hard to get place. It was eating up all the eggs. She used a Remington Nylon 22 rifle.